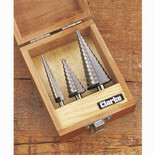 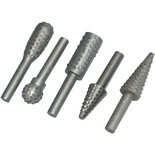 A top quality set of burrs, specifically designed for use in power drills & screwdrivers and ideal for smoothing rough edges etc. 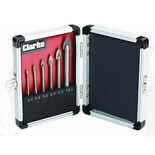 Supplied in a handy plastic storage case. 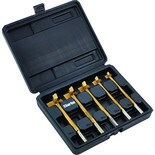 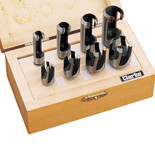 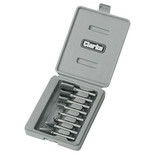 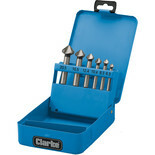 A top quality set of HSS steel countersink flutes, supplied in a convenient metal storage case. 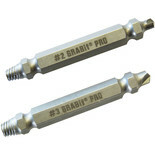 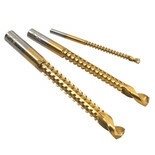 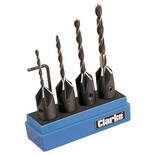 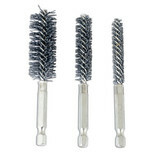 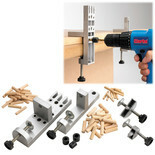 Using these useful power drill tools allows screws & fasteners to fit flush to the surface. 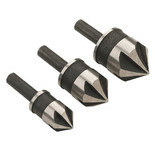 Use these handy alloy steel countersink flutes to ensure screws fit flush to the surface for a more professional finish. 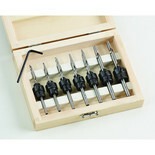 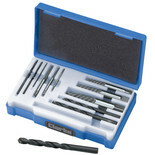 Drill precise depth holes and fit screws flush with this handy and convenient drill bit, countersink and depth stop set.